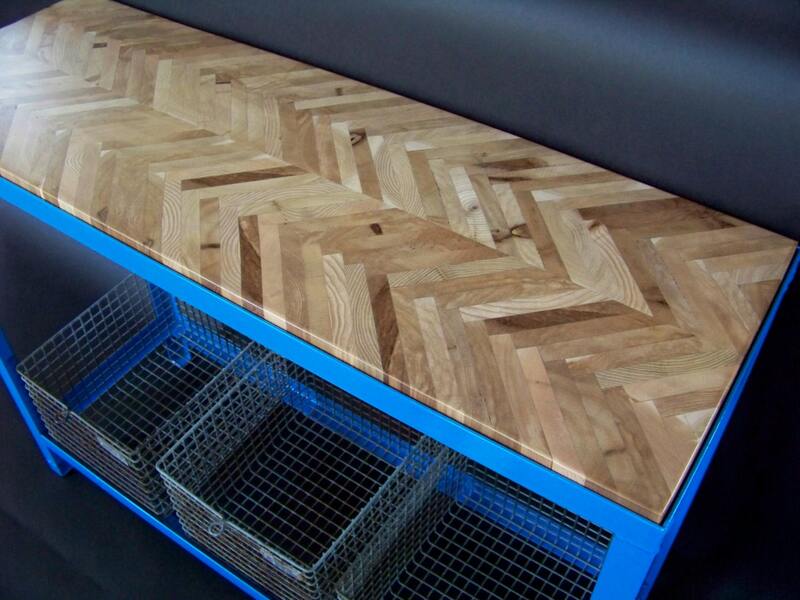 This one of a kind console is made from 100% reclaimed materials. 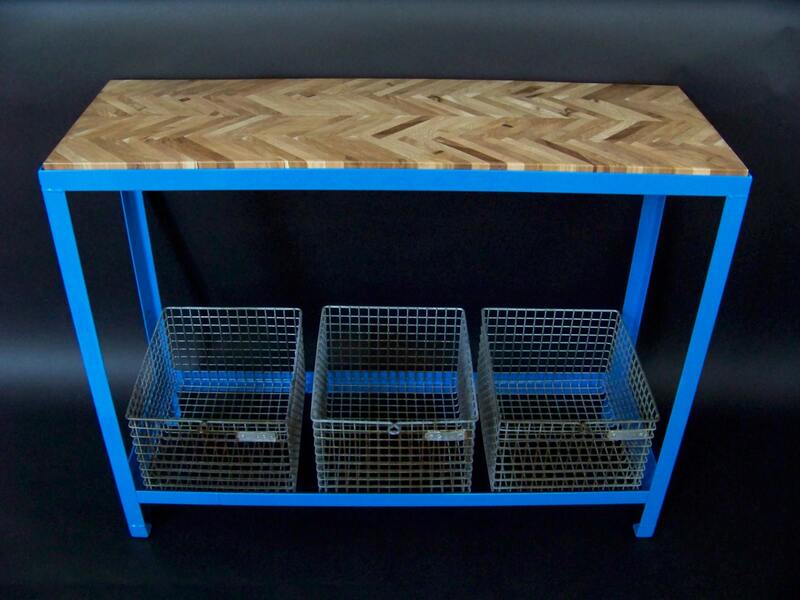 The steel base is salvaged angle iron from an old gate and the wire locker baskets were salvaged from a Seattle factory. Leftover pieces of Cedar from a fencing project for the chevron pattern table top. The steel base has been powder coated in a vibrant blue for a durable finish that will last a lifetime and the cedar table top is finished with a non-toxic acrylic polyurethane. via 100 Reclaimed Console Table by HealandBower on Etsy.